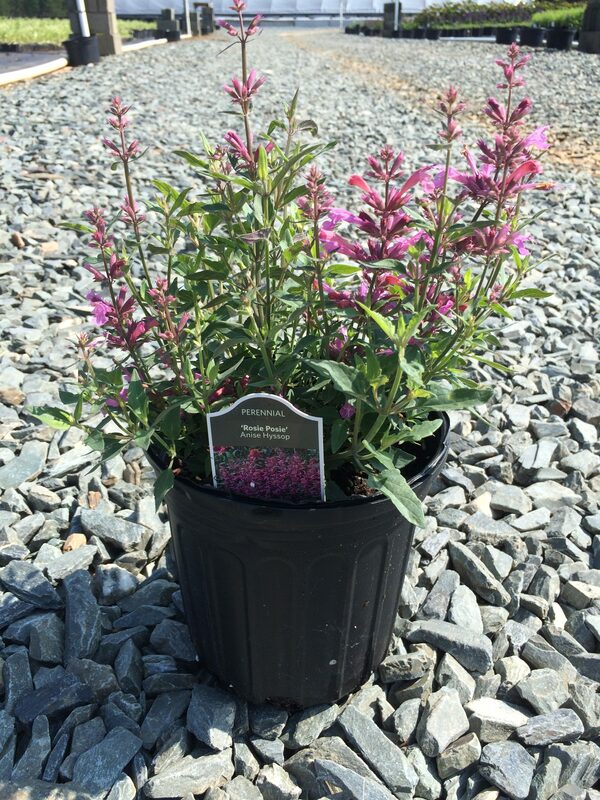 Rosie Posie Agastache is a dense, mounding perennial that is topped with spikes of pink flowers from early summer until the first hard frost of fall. Flowers will attract butterflies and hummingbirds to the landscape. Grows 2 feet in height and width. Deer resistant. Needs full sun and well drained soils.